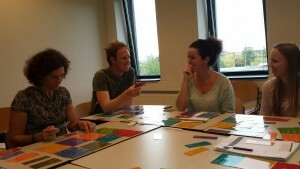 October 8th a training of the Earth Charter Version of Show Your True Colours Method took place at the Avans Business College in Breda, the Netherlands, where she was able to use the modified version of her game that includes the Earth Charter. 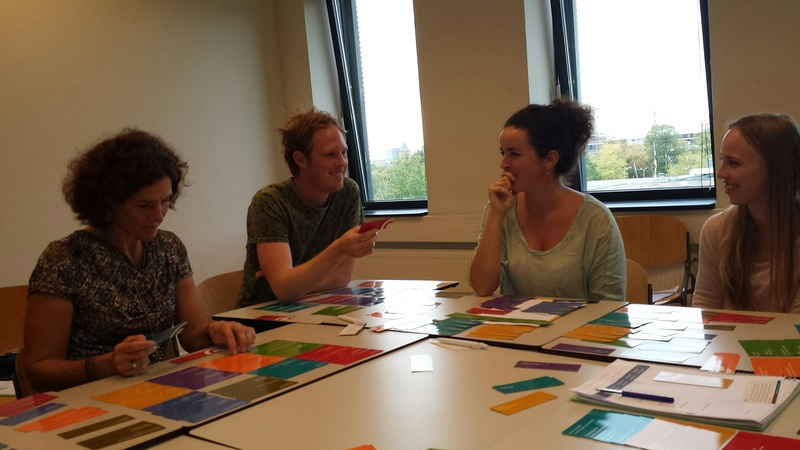 This workshop was organized during the Avans College Week of Sustainability in October 2015, a week of events related to sustainability. 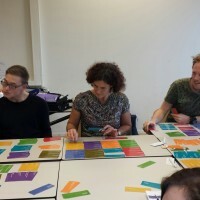 The Earth Charter Show Your True Colours workshop was an interactive session during which participants played the Show Your True Colours game that Brigitte had modified with Earth Charter values. The session allowed the participants to look at different situations from a variety of perspectives derived from the principles of the Earth Charter and related to concrete examples. An assessment of personal qualities of individual participants led to them identifying specific principles of the Earth Charter and enabled both the teachers and students to define follow-up actions through dialogue. In general, the personal insights from participants encouraged them to think about actions they could take regarding environmental conservation and increased and improved communication with other people, communities, and the Earth itself.